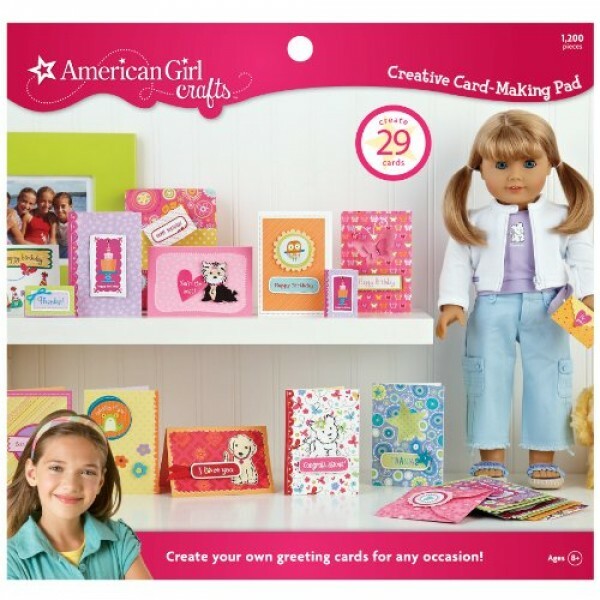 Greeting cards from American Girl! This card-making pad includes lots of creative ways to say hello, thank you, happy birthday and more. You can create your own unique greeting cards and make mini greeting cards for your doll! Card-making pad includes 24 cards; 5 doll-sized cards; 60 glitter stickers; 102 punch out shapes; 1 envelope template; 1,008 adhesive foam squares. For more toys and kits to encourage kids' interest in the arts, visit our Arts & Crafts section.